Open your image editor and create a new 54 x 162 image. Fill the image background with black color. 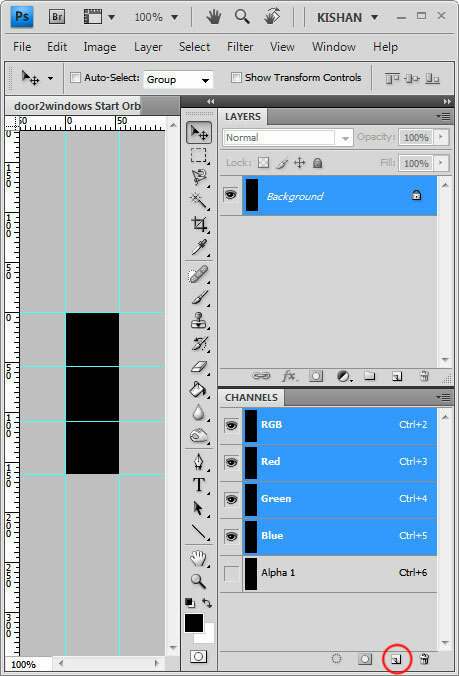 Create a new channel named "Alpha 1"
Create guidelines at the 54th & 108th pixel with the help of rulers. 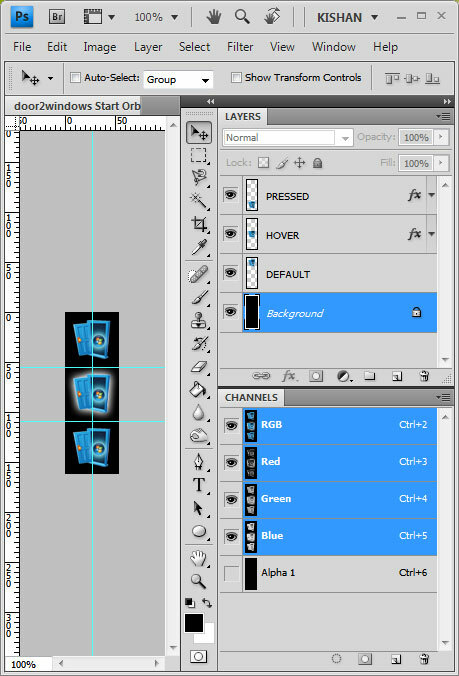 Open the three images which you want to use for the default, hover & pressed orb states and resize them. It should not be greater then 54 x 54 pixels. Copy the image which you want to use for the default orb state and paste it before the first guideline. Copy the image which you want to use for the hover orb state and paste it in between the first & second guidelines. Copy the image which you want to use for the pressed orb state and paste it after the second guideline. Merge all the three orb states images into one. 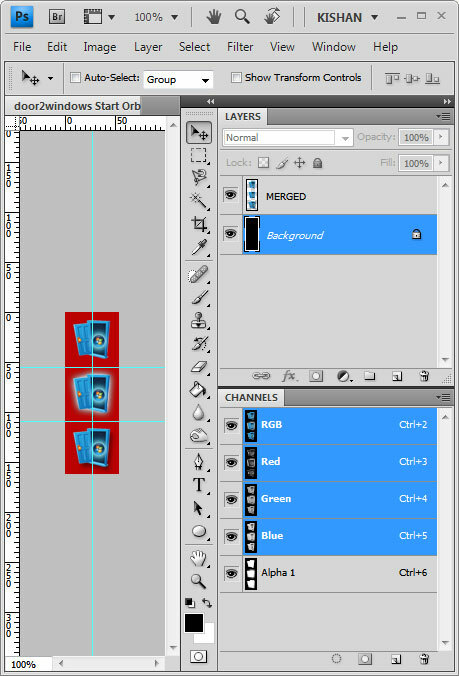 Press CTRL & click on the layer's thumbnail in which the three orb states are combined. 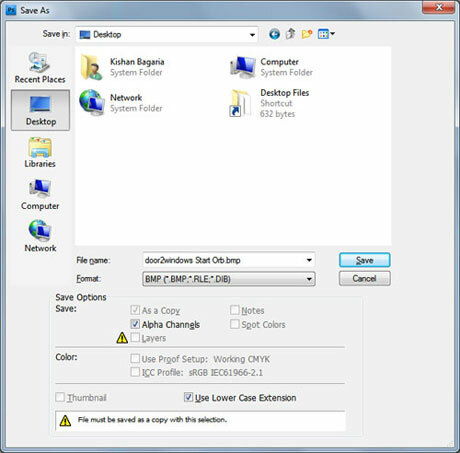 Select the Alpha Channel and press Delete. Press CTRL + S and save the image in BMP format. 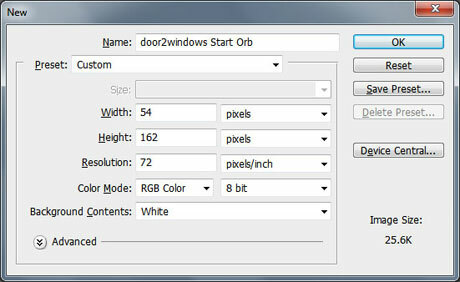 Use Windows 7 Start Orb Changer to change the orb you have created. Check if it works properly. If it doesn't show up properly then leave a comment here with a download link to your orb. Thanks to 7nuclear @ YouTube for making the video tutorial.